first tenuous, as Mary Queen of Scots sought to reassert the royal will. 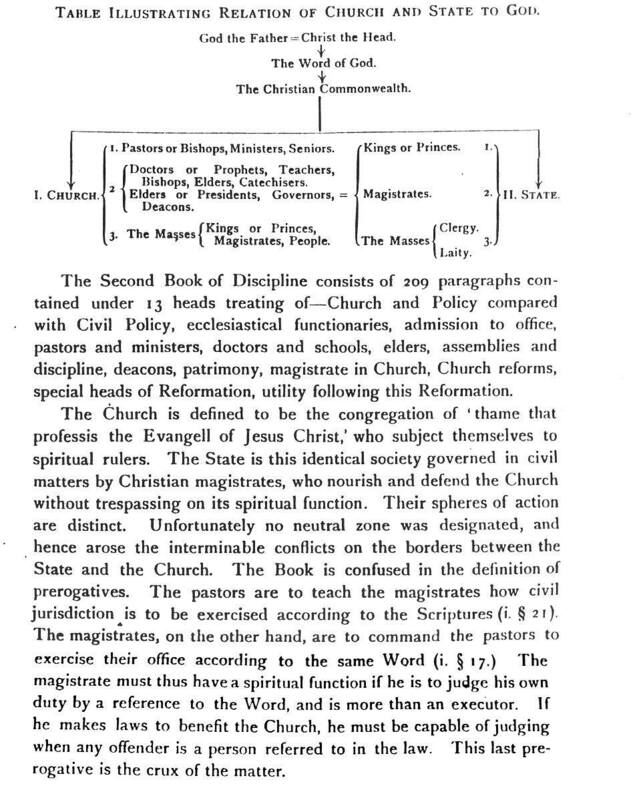 church officials in the government of the church. Hewison, The Covenanters, Vol 1 p 85-6. The role of the kirk session. leadership in the active management of the session. disciplinary action against adulterers to the presbyteries. the repair and furnishing of churches, manses and established schools. the nobility, such as the recalcitrant papist the Earl of Abercorn. appointments passing to the bishop. manner of conducting the Sacrament of the Lord`s Supper were enforced. minded, to exercise considerable influence on behalf of the Church. rather than any innate failure of the bishops to fulfil a meaningful and Christian role. especially any teinds, actually paid in the minister`s lifetime.